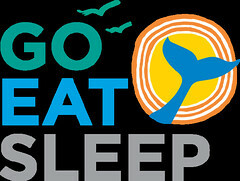 Everyone likes to getaway, especially on long weekends, but don’t forget to take advantage your own backyard. Memorial Day weekend serves as the kickoff for summer, and this year the must do list in the San Francisco Bay Area seems longer than ever. When BottleRock first started in 2013, no one was really sure what to think. Now, all everybody thinks about is how to get a ticket. 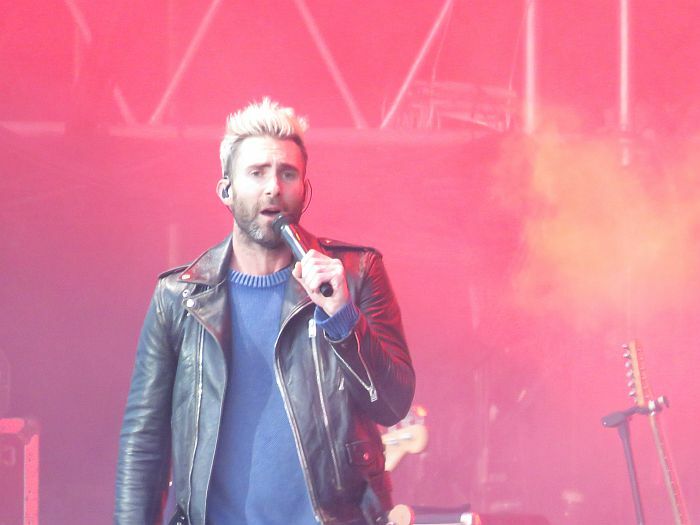 Right in the heart of downtown Napa, this year’s headliners included Maroon 5, Macklemore, Tom Petty & The Heartbreakers, and the Foo Fighters, along with a number of other great bands and performers. There were too many great names to mention them all. There were more than 120,000 attendees over the weekend, and it goes without saying the music is top notch, but BottleRock seems to be hitting its stride in so many different aspects. It’s not just about music. 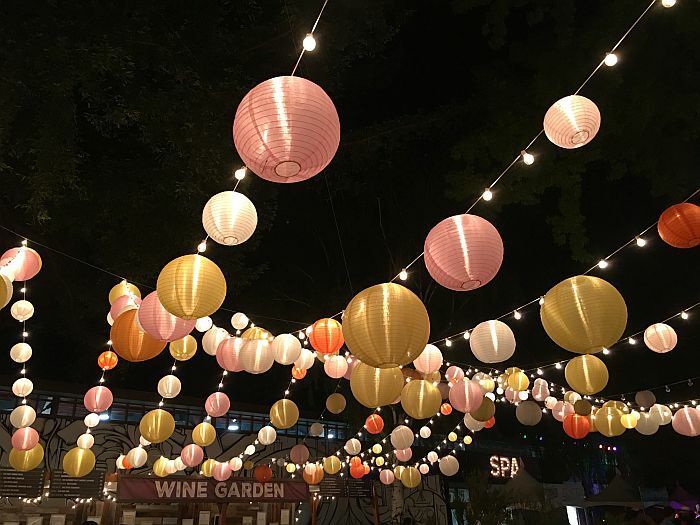 BottleRock added more color this year with the help of Napa artist Gordon Huether. His installations were scattered throughout the festival grounds. 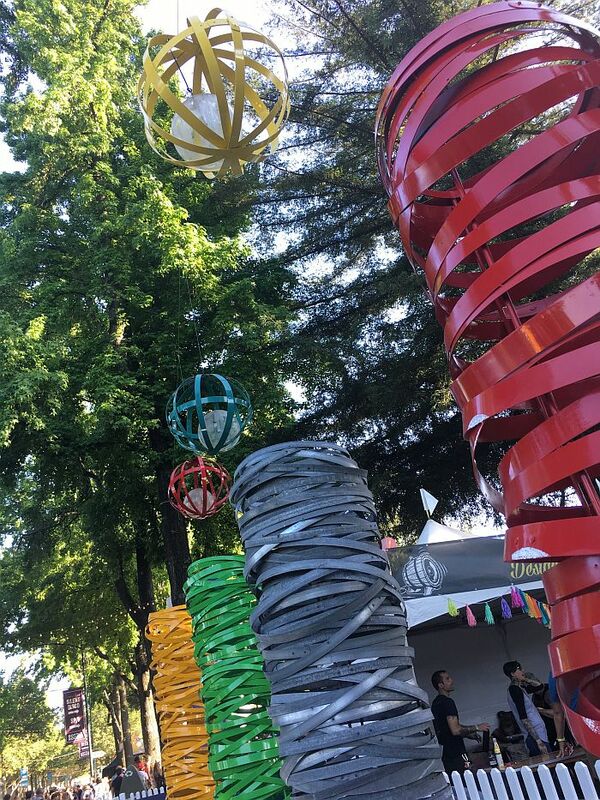 His work tends to re-use materials, is brightly colored and just makes you smile, especially at an event like BottleRock. There was a spa. A BottleRock Napa Valley first. The Sutter Health Wellness Spa offered make-up, massages, hair styling, you name it. And, if you needed a practical excuse to attend a concert. This year folks could sign up for TSA Pre✓® at BottleRock. When you going through airport security, those TSA Pre✓® lines are typically the short ones, where you don’t have to take off your shoes and take out your computer. Didn’t have a ticket? It didn’t matter, along with a sign-up area inside the festival grounds, there was an enrollment area set-up outside the main entrance as well. But the hidden gem of BottleRock is the Williams-Sonoma Culinary stage. 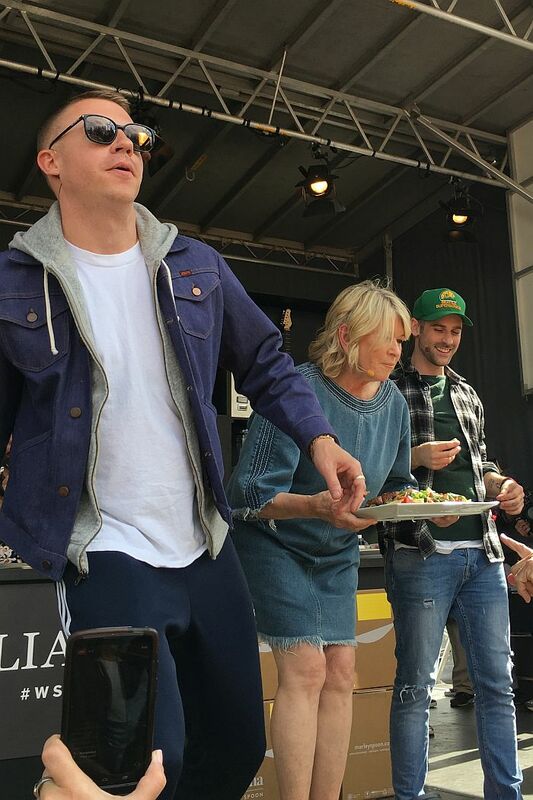 It pairs star chefs with musicians and celebrities, cooking up combinations like Martha Stewart, Macklemore, and Ryan Lewis. Chicken went airborne, numerous times. 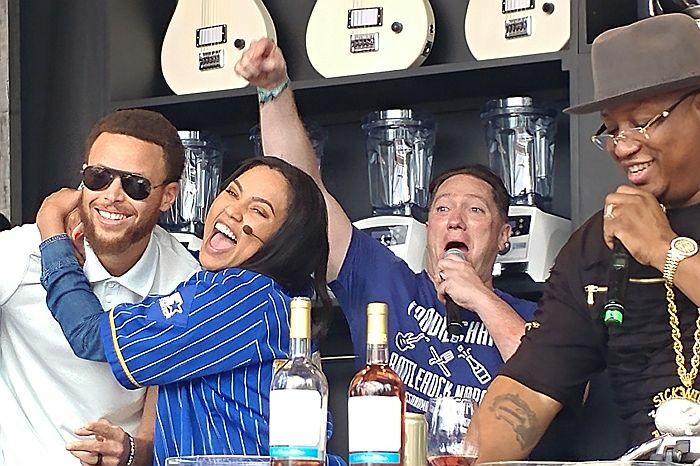 But the show stealer on Friday was Ayesha Curry and East Bay rapper E-40. Yes, her famous husband got pulled on stage. But it wasn’t about him. He stepped off to the corner and let her do her thing. Than there’s the food and drink you can buy in between shows. Michelin-starred chefs, vintners and brewers that include Bay Area favorites like Silver Oak Cellars, Lagunitas Brewing Company, Napa Palisades Beer Company, Nick’s Cove, and Goose & Gander. BottleRock Napa Valley will return May 25 – 27, 2018. You can also get your music fix next weekend, or any weekend for that matter in downtown Napa thanks to an assortment of other great venues. The newest on the scene is Blue Note Napa, located on the first floor of the historic 19th century Napa Valley Opera House. It’s a 150-seat jazz club with a fun wine country twist. 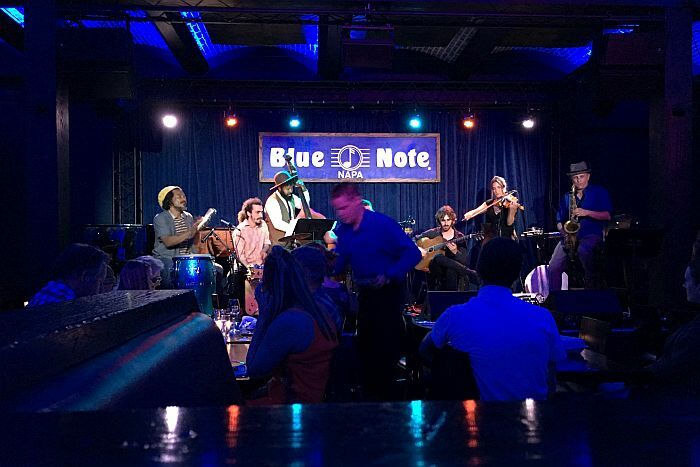 There’s live entertainment six nights a week provided by artists from the Bay Area and beyond. Along with a full bar, there’s an extensive dinner and bites menu to choose from. 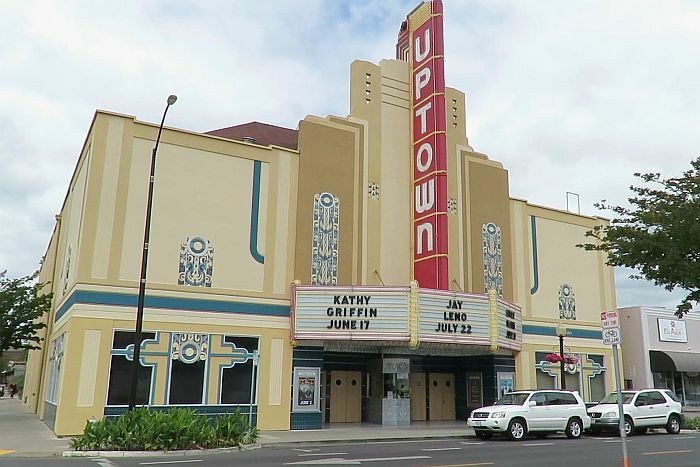 Another small venue, just a few blocks away is the Uptown Theatre . It has just 857 seats – the distance from the last row to the stage is only 98 feet. It’s tiny by theater standards – but it has a huge history. Opened in 1937, it has seen vaudeville and movie screens. In 2000, new owners took over, and now lovingly restored, and it’s all about live venues. Upcoming shows include The Robert Cray Band and Jay Leno. Tickets prices vary from performance to performance. Go to the box office and you can avoid all those extra Ticketmaster fees. Sometimes they’ll even take you into the theatre to show you where seats are. Located on Third Street. Silo’s Night Club at the Napa River Inn is another popular spot for local live music in downtown Napa. An even smaller venue, it seats about 100. Open evenings Wednesday through Sunday, sometimes there’s a cover, sometimes not.